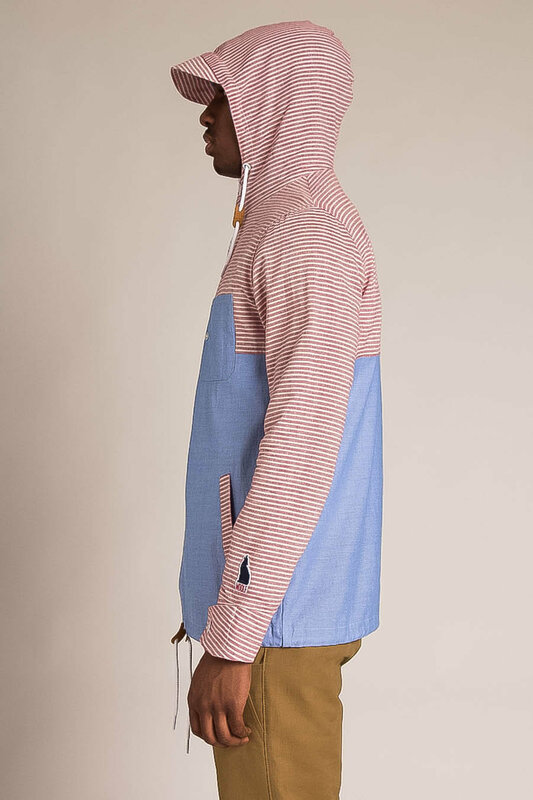 Woolf has an ill design in this summer "After Surf Jacket". Complete with a drawstring hood and leather visor, this jacket is perfect for this cool, but still kinda sunny weather we've been having. The jacket pictured is "RED HICKORY/BLUE CHAMBRAY" but it also comes in a few other colors, too. 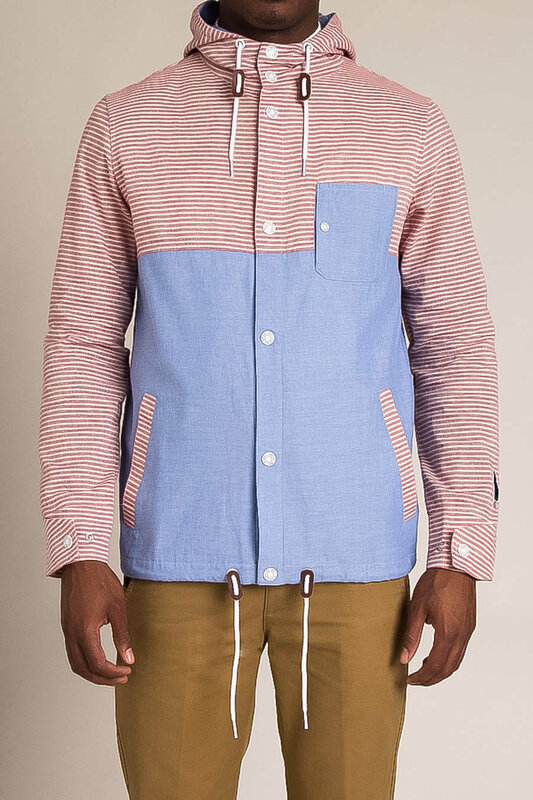 Check out the After Surf Jacket by Woolf (which is on sale at Jack Threads) here.